Human health professionals now recognize what animal caregivers and everyday pet owners have known for years: that pets can be good for our health and well-being. 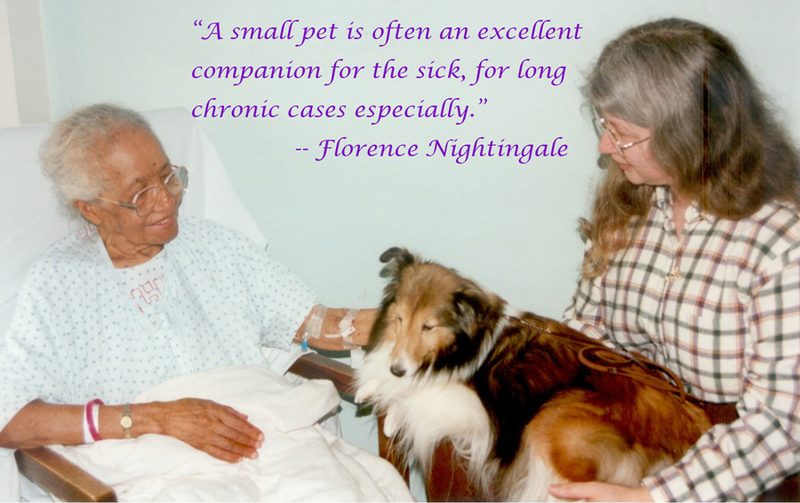 Companion animals are being introduced into nursing homes, hospitals, rehabilitation centers, behavioral health programs and many others. Therapeutic riding improves the motor skills and coordination of the physically challenged. Pets help inmates in correctional facilities and juvenile offenders to learn empathy and compassion. Dogs can help reluctant readers read. Pets can help seniors maintain independent living. Therapy animals help military veterans cope with ADHD. Canine exercise programs fight obesity. In short, wherever people have special needs, someone with passion and an animal with the proper temperament can create an imaginative way to being pets and people together for mutual benefit. Join us on this exciting adventure and learn more about how you and your pets can make the magic happen!